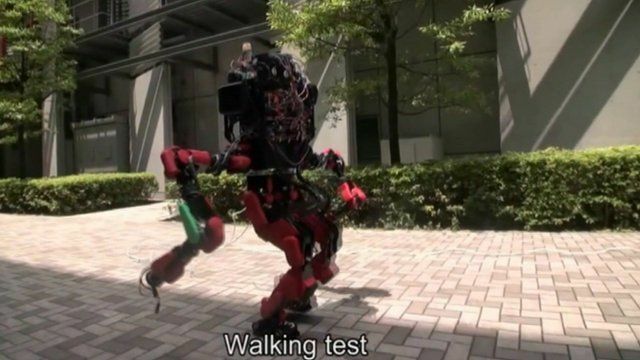 Schaft robot practices its paces Jump to media player Japanese start-up Schaft has developed a new kind of motor technology to help its effort to win the Darpa Robotics Challenge. 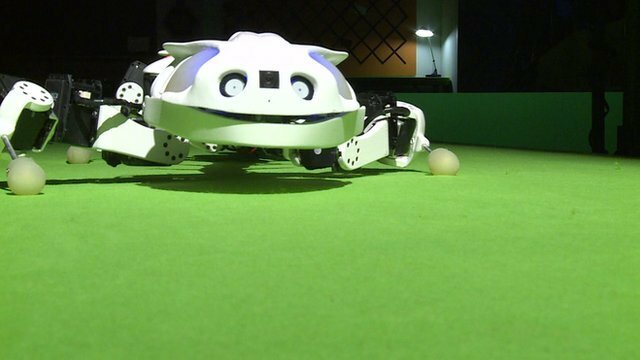 Robots run wild in London Jump to media player A robot inspired by a salamander and a cheetah cub are among the exhibits in a three-day festival of robots inspired by nature at London's Science Museum. 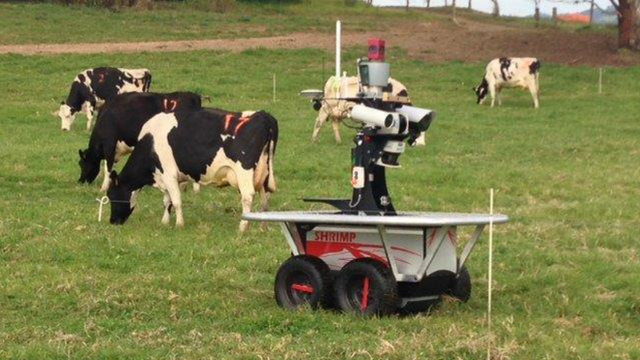 Robot cow-herder a hit with farmers Jump to media player Researchers at the University of Sydney are testing a robot to herd cows. Early results show that cattle have adapted to it well and farmers are keen on the idea. Schaft is a humanoid robot developed by a spin-off from the University of Tokyo's Jouhou System Kougaku lab. It makes use of a new high-voltage liquid-cooled motor technology that uses a capacitor, rather a battery, for power. Its engineers say this lets its arms move and pivot at higher speeds than would otherwise be possible, in effect giving it stronger "muscles". The Japanese team has been tipped to be the "one to beat" in the Pentagon's Darpa Robotics Challenge by one of its rivals, Virginia Tech. Seventeen teams have entered robots into the competition in which they will face a series of challenges to see how they could help tackle a disaster scenario. But whatever the outcome of the contest, the start-up's future looks secure as it was recently taken over by Google to form part of the search firm's new robotics division.